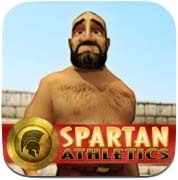 Developed by SpartanApps, Olympic Games: Spartan Athletics is a fun and modern take on the Ancient Greek olympics. 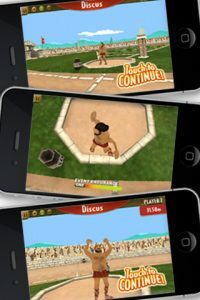 Featuring all 10 events of the Olympic decathlon, Spartan Athletics is a great sports experience for your iPhone or iPad. You can choose from a one player or two-player game, as well as a single event or a pentathlon. Single event includes track races (100m, 400m, 1500m and 110m hurdles) as well as field events such as high jump, long jump, javelin, pole vault, discus and shotput. In pentathlon, you choose 5 events to create your own contest, which you can play by yourself or against a friend over Bluetooth. At the start of the game you get to choose your hero from amongst five fully 3D Ancient Greek characters with names like ‘Pectorius’, ‘Dashidakis’ and ‘Colossalopoulos’. Each character has their own unique attributes and star-ratings for power, endurance, leap, speed and technique, so different characters are better for certain events. 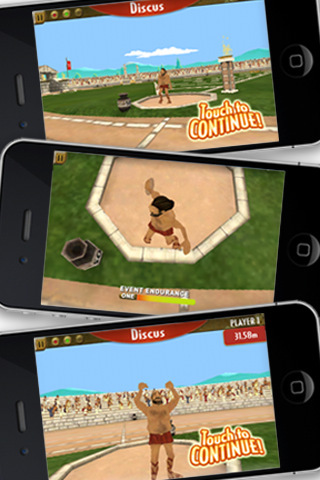 In each event type the controls are fairly similar – you swipe on the screen using your finger in one direction to run, and then swipe upwards to let loose your javelin, make your character jump or throw your shotput. Consistency is nice, but it comes with the downside that all of the events in Olympic Games: Spartan Athletics start to feel the same. The game has optional tutorials which are ‘on’ by default and are very useful to help you get your bearings with the control interface, but unfortunately don’t turn off automatically after you’ve played a couple of rounds. Getting high scores in each of the events wins you bronze, silver and gold medals, and winning medals unlocks achievements and bragging rights on the leaderboards. 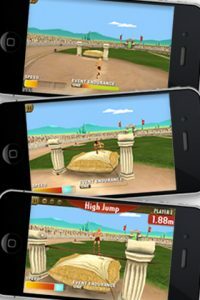 The 3D graphics look great on the iPhone 4 retina display, and for a free title Olympic Games: Spartan Athletics offers a fun and original gaming experience for you and a friend. 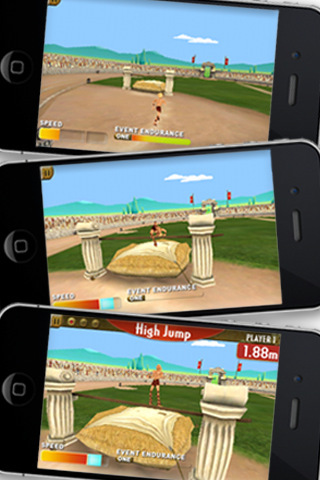 Olympic Games: Spartan Athletics is compatible with iPhone, iPod touch, and iPad. Requires iOS 3.0 or later. A small fee was paid by the developer to expedite the review of this app.